A California "microstamping" law that requires new semi-automatic handguns automatically imprint bullet casings with identifying information has been upheld by the 9th circuit court of appeals in a 2:1 split decision - despite the fact that the technology doesn't exist, reports ABC News. The microstamping law - the first of its kind in the nation signed in 2007 by then-governor Arnold Schwarzenegger, took effect in 2013. 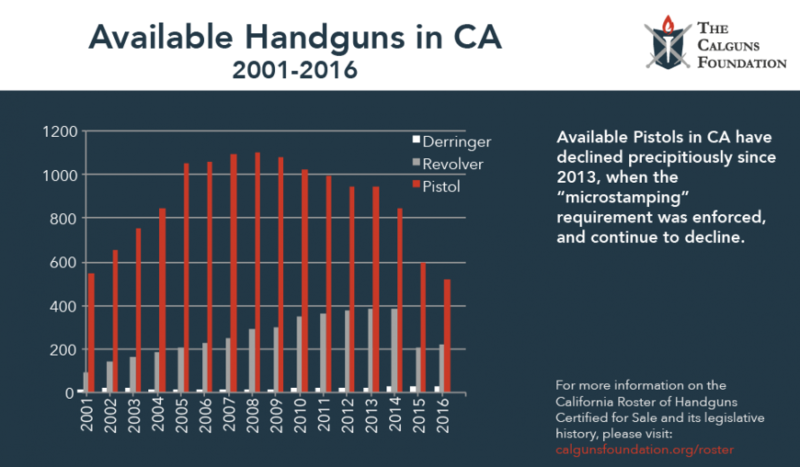 It requires that brand new handguns sold in California imprint the gun's make, model and serial number in "two or more places" on each bullet casing from a spent round. 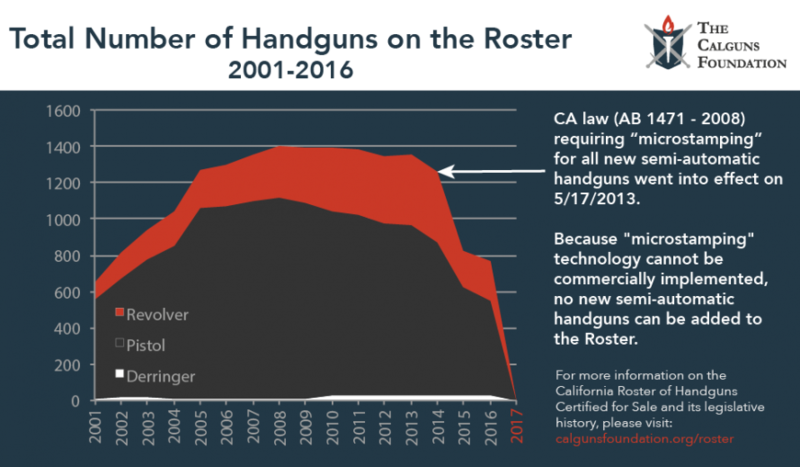 The result of the new law was Smith & Wesson, Ruger and other manufacturers opting to pull out of California. 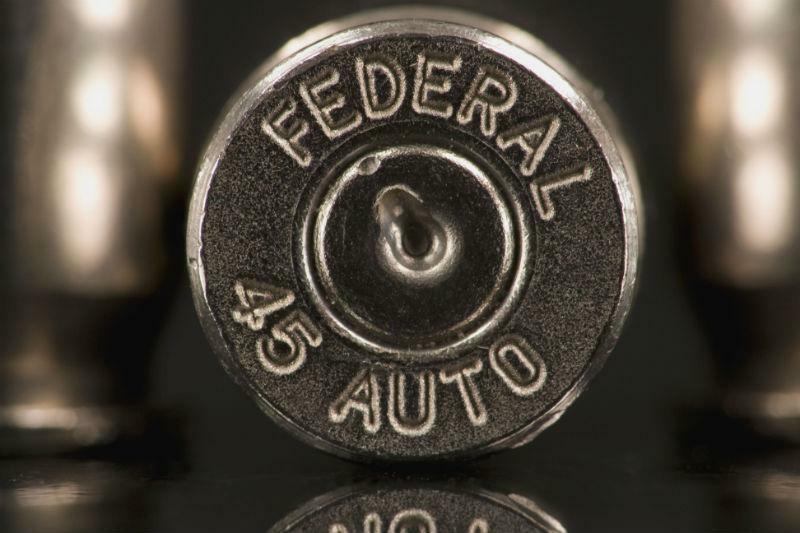 Gun rights advocates have slammed the law, as the technology doesn't exist to stamp bullet casings in two places as the law is written, and even if it did, criminals could replace or file down the firing pin and any other mechanism to "microstamp." California gun rights advocates say the law effectively bans the sale of new semi-automatic handguns in the state. And what did the 9th circuit say to that? Too bad - as residents can still buy used handguns that don't carry the yet-to-be invented microstamping technology, as well as any guns on a pre-approved roster - thus, the inability to buy a new semiautomatic handgun that's not on the roster doesn't infringe on the 2nd Amendment right to self-defense. 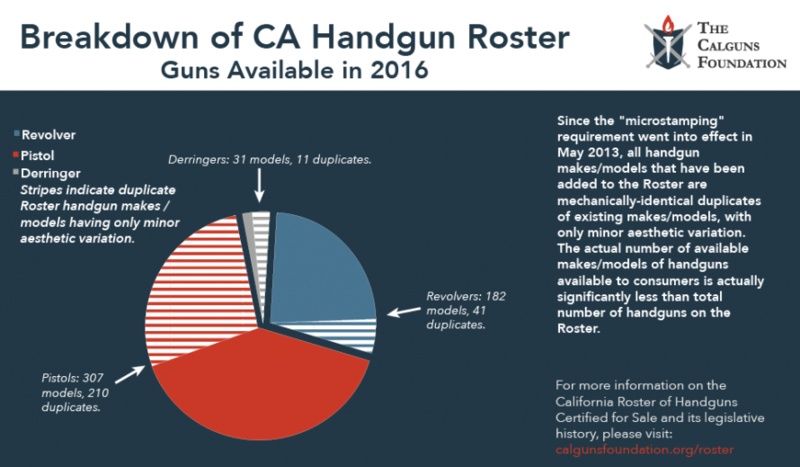 Calguns foundation executive director Brandon Combs said that the 9th circuit used a less rigorous judicial standard in order to arrive at its "policy preferences." Dissenting from the majority was Judge Jay Bybee, who cited conflicting evidence over whether the microstamping technology was even technologically feasible - and that if the state adopted an impossible requirement that no gun manufacturer can satisfy, it would not help the state solve handgun crimes and would illegally restrict gun purchases. As Breitbart's resident Second Amendment columnist AWR Hawkins detailed in 2015, Maryland canceled a similar "ballistic fingerprinting" program after 15 years and $5 million dumped into the program resulted in no crimes solved. The law did not call for "microstamping" like California's - rather it relied on unique metallurgical "fingerprints" left behind by a gun's firing pin. Each new gun sold in the state would need to be fired one time, and the resulting bullet casing sent to the state's police headquarters. Unfortunately, while the forensic technology to match a bullet casing with a gun exists - the computerized system designed to sort and matched images of casings never worked - so the state canceled the program.